Tide Pool Titans in the perfect place for little superheroes or warrior princesses. 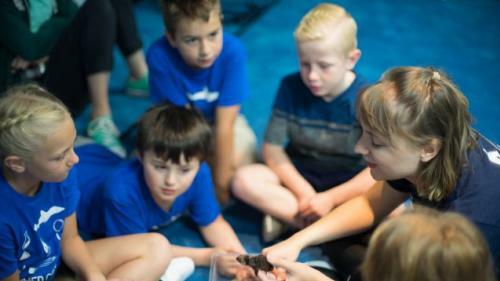 After learning all about animal champions and their amazing powers, campers will create their own nature-powered superheroes. In their quest for justice, campers will team up with animals, explore behind the scenes, and conduct tests in their secret headquarters. 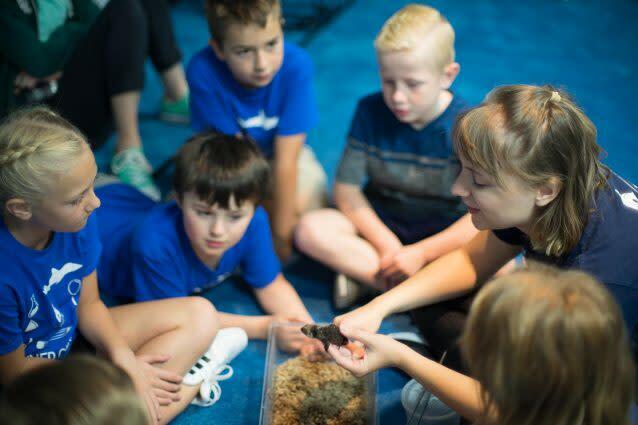 This half day camp is perfect for heroes ages 4 to 5 and focuses on the power of pretend play inspired by our animal friends.We love spending extra time with your campers! We can provide supervised care from 8 to 9 AM in the morning, 12 to 1 PM in the afternoon (half-day camps only), and 3 to 4 PM in the afternoon. Campers will enjoy age-appropriate free-choice activities. Extended care hours must be purchased at time of registration. Staff will not be available for drop-in extended care.